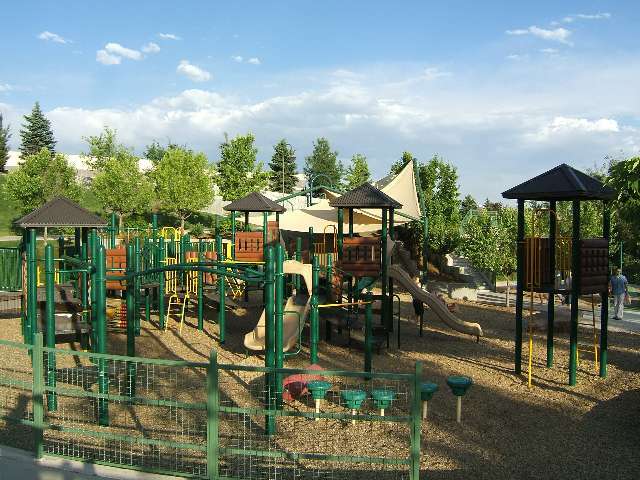 The Westlands playground includes three play areas sized for toddlers to teens. 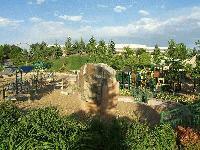 There are two large climbing structures which satisfy both the technical climber as well as the inexperienced child. 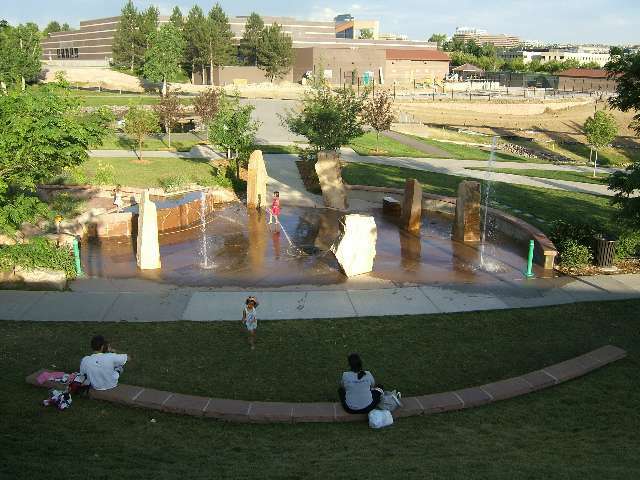 An interactive play fountain comes alive with hidden water jets. 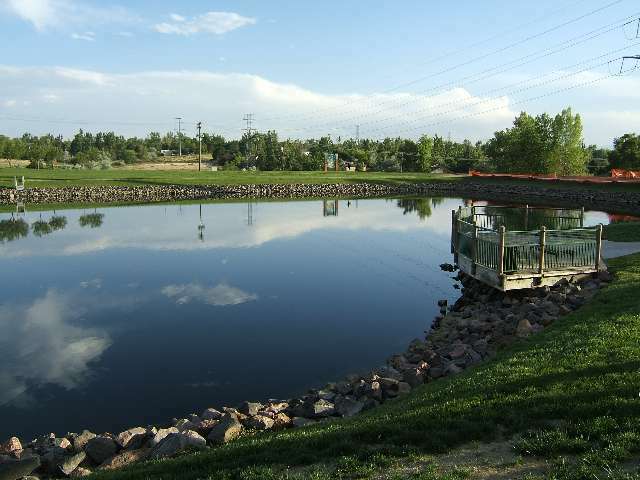 In addition to the main play area, there are three multi-use playing fields, an in-line hockey rink, a pond and a hike/bike trail.